Our Wax Hands Machine comes complete with 2 staff to operate the machine and can handle 50 to 70 wax hands per hour. 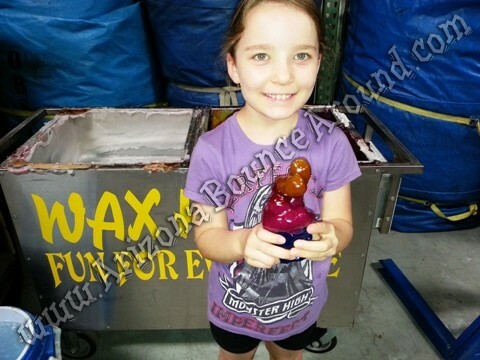 We will bring everything needed to make the wax hands but will require 1 electrical outlet and a water source to fill the 2 buckets with ice water. To make wax hands we dip your hand in ice water then into the warm mild wax. We then cool the wax by dipping your hand back in the ice water. We then remove the wax hand cast and assist in dipping it in the colored wax. Kids and adults of all ages will enjoy making wax hands and you can keep the final cast so rent a wax hands machine today!! If you plan on having a decorating table please make sure to double cover your table with plastic table covers as the wax will permanently damage cloth linens. Wax hands can get a bit messy so we recommend doing this activity outdoors. 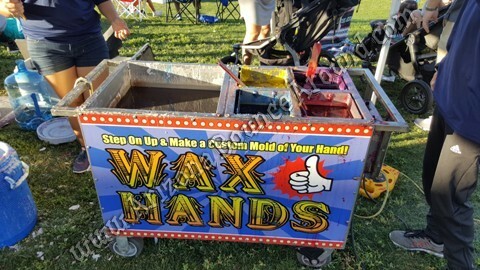 Our brightly colored wax hands machine will look great at your party or event and the wax colors we currently have are white, maroon, yellow gold, pink and blue. The maroon and yellow will look great as ASU colors. White hands will like amazing at black light or glow parties and we can even special order floresent colors for the ultimate glowing hands party. We even rent black lights and foam parties for foam and glow events. 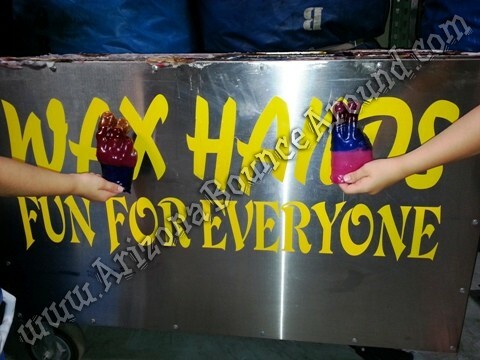 Our wax hands machine features bright art work on the machine to make your party or event look great. 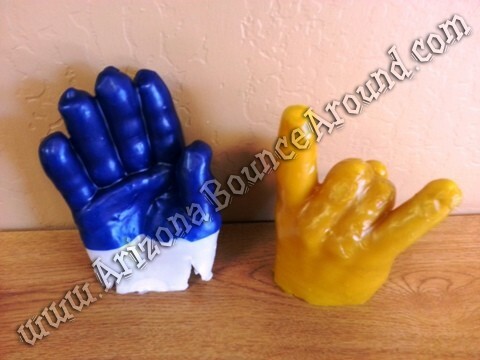 Our wax hands machine rental price includes staff to make wax hands. 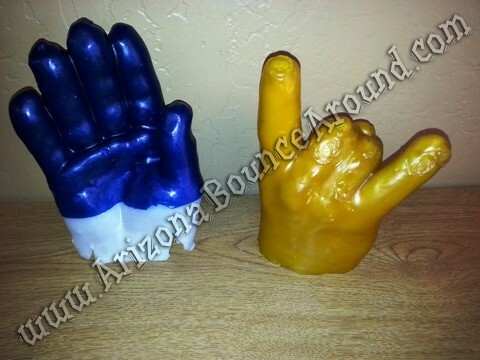 Wax hands are super popular and will be a hit at any party or event. Wax hands will draw a big crowd to your trade show booth because everyone will want to do it. 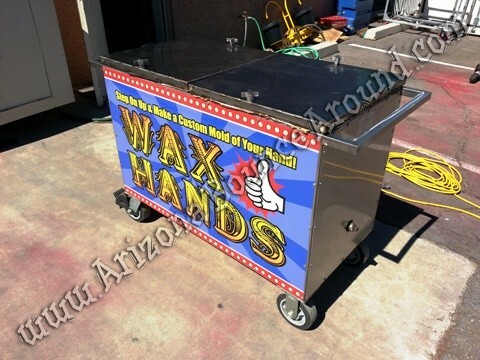 Our wax hands machine looks great and our friendly staff will make sure your wax hands look great.